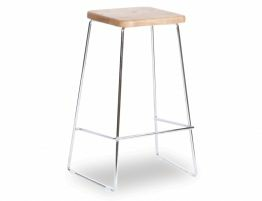 The Hugo steel and wood bar stool offers a fresh contemporary look for your breakfast bar, kitchen counter seating and bar. 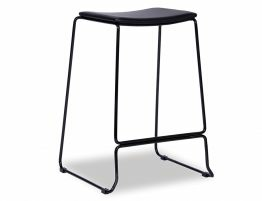 The Hugo backless modern counter stools feature a matt black powder coated solid steel frame and a solid American Ash wood seat lending these modern bar stools a look that is both natural and modern. 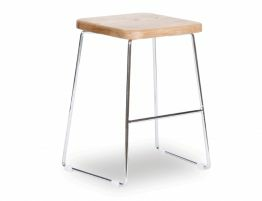 The Hugo stool is available in two heights to suits either a kitchen counter or a commercial bar. 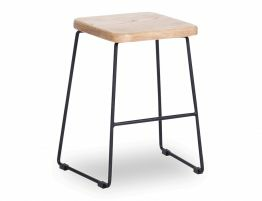 Put this bar stool in your modern kitchen, your chic natural spaces, your refined rustic interiors. 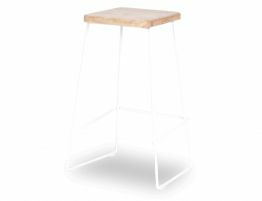 Being a backless modern counter stool, the Tower timber bar stools sit unobtrusively beneath counters for a well organised, minimalist look. 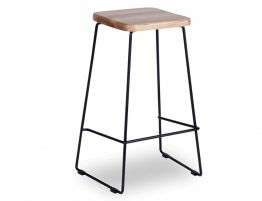 With a blackened solid steel frame this modern bar stool is strong and stable and the natural wood seat lends a warmth that works in a variety of interior styles. 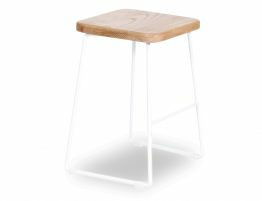 With backless modern counter stools like the Tower timber bar stool, you get on-trend style in a lightweight, easy to care for that stands up to the rigours of everyday use.